Are you that person that always over packs? Ends up stuffing socks in your suitcase. Jewellery tangled perfume bottles broken. Yeah our worst nightmare, so here are some of my tips, my friends tips and cosmo's tips. 1) Roll your clothes don't fold. Everyone wants to fold but rolling gives you more space in your suitcase. Rolling also stops heavy creasing as well. 2) Drop perfume bottles in your socks and stuff the socks into your shoes. Put your shoes in a shower cap turned inside out to stop them from dirtying your luggage. 3) Put your bras in each other. Stack your bras on top of each other folding them in half and tuck your underwear inside! 4) Put your Jewellery in between two sheets of cling film to stop them from tangling! Genius! 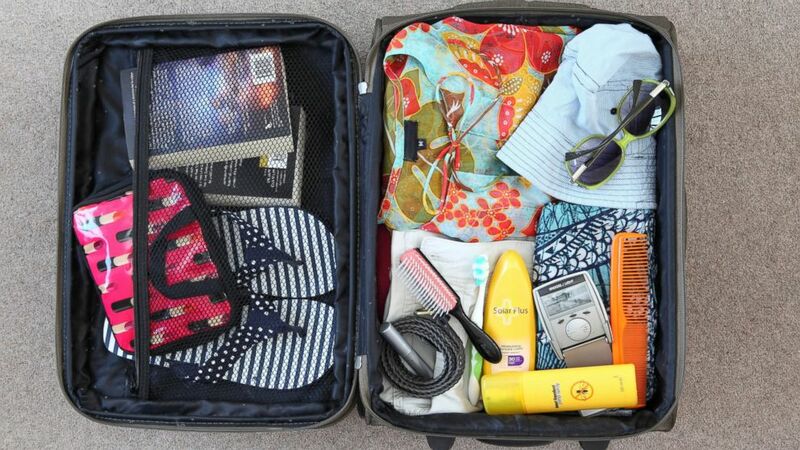 5) Put large and heavy clothing at the bottom of your suitcase. So you can see things easier! 6) If stacking your bras was not for you slip your underwear into gaps in your suitcase. Hope you enjoyed this packing tips and it makes holidays a lot easier.